Travel Portland. Stumptown coffee on 3rd in downtown Portland. On a rugged bluff overlooking the Pacific Ocean, I stand with Ben Jacobsen, looking at his future. Early this cool, crisp morning, we drove his pickup from Portland, Oregon, west on Route 6, following the Wilson River through rolling fields and then thick forests of spruce and fir, up over the Coast Range and down into the flat pastureland of Tillamook that stretches out toward the sea. I watch a few people comb the immaculate white beach of a narrow inlet far below us, where oceanic waters rush in to fill the sheltered cove called Netarts Bay. To the north, past the craggy islands of Three Arch Rocks, the Pacific is a deep, cold, vibrant blue, as far as the eye can see. Ben Jacobsen sees all this, too, but he sees something else. He sees salt. Not that Jacobsen is unromantic; it’s just that he is a budding salt magnate, if such a thing can be said to exist. The denim baseball cap that hides his tousled, coppery hair bears his company’s logo: Jacobsen Salt Co. It goes well with his red flannel shirt, beat-up khaki shorts and running shoes, the de facto uniform of the corporate man turned artisan, and not uncommon in the Pacific Northwest. Back in 2009, when his Internet startup went bust, Jacobsen had some time on his hands. He made trips from Portland out to Netarts Bay to go crabbing but, he says, “I’m not all that skilled—I’d come back with zero crabs.” What he did come back with was five-gallon containers of seawater, which he lugged to his car. Through months of experimentation and a few ruined pots, he found he could make a great sea salt out of it, simmering away the water for hours until all that was left was a pile of snowy, white, perfect crystals. At that point, he decided to go pro. It’s precisely this kind of endearing, slightly twee enterprise that’s recently captured the imagination of the food world in general, and New Yorkers in particular. Brooklynites’ fascination borders on narcissism, so closely do our precious predilections coincide with those of our West Coast cousins. Portlandia, the hit TV series on IFC that lampoons all things precious about Portland’s culture, could just as easily be about our borough—our extreme farm-to-table ethos, our fascination with brunch, our inclination to “Put a bird on it!” I looked up from my first brunch in Portland, a spot-on radicchio and green-olive salad and an English-pea frittata at Tasty n Sons, to see Portlandia’s star, Carrie Brownstein, eating brunch with her friends—which, by the way, is like going to Sardi’s for a steak and spotting Al Pacino. While my girlfriend and I were whispering about that, the illustrator seated next to us at our communal table handed us her business card. It had a bird on it. In Portland, however, this all makes a lot of sense. To say the city is food-obsessed is both an understatement and a mischaracterization. Food, drink and the enjoyment of such are as much a part of the fabric of this city as the Willamette River, which meanders through its center, and like that river, it’s nothing new. The surprise is that it’s taken us New Yorkers (and the rest of the world) this long to notice. Maybe it’s the recent flush of press the city’s food scene has gotten; maybe it’s the recent arrival of prominent Portland transplants to Brooklyn’s shores, whom we’ve welcomed like long-lost family. Stumptown Coffee Roasters barnstormed New York back in 2008, redefining coffee culture; Pok Pok NY gets breathless reviews for its gutsy Thai street food and block-party-in-Chiang-Mai vibe. One thing is certain: New York and Oregon have a thing going on. And why not? “You think about what’s great about the Portland food scene, it’s like a list of greatest hits,” says Brad Farmerie, chef at New York’s Public and Saxon & Parole, and Pok Pok regular—his apartment overlooks the Columbia Street restaurant’s ramshackle backyard. Food trucks? Portland has close to 700, with two or three new trucks opening every week. Locally made spirits? At least 11 distilleries in town, making everything from Aviation Gin to Eastside Ouzo. Craft beer? Please! They’ve called Oregon “Beervana” from way back. Coffee? See Stumptown, et al. Plus salmon runs to die for, oysters and Dungeness crabs from the pristine coast, deep forests for foraging chanterelles and white truffles, and nine urban wineries bottling killer pinot noir. It’s no wonder that New Yorkers have been jumping on the Oregon Trail, and giving Portland the kind of respect as a foodist destination that was once reserved for bigger cities like San Francisco. While other great food cities might rely on their ethnic communities (like Miami’s Calle Ocho) or age-old culinary traditions (New Orleans’s creole cooking), Portland’s status as a food capital is homegrown—it stems directly from its wealth of fresh, local ingredients. The sheer proximity of abundant farms-to-tables in Portland is enough to turn a Gotham chef green with envy. The agriculture department calls the Willamette Valley “perhaps the most diverse agricultural region on earth,” and thanks to the mild winters, fresh produce abounds year round—and not just on elite, effete menus. At Community Plate in McMinnville, Oregon, chef Jesse Kincheloe estimates 80–85 percent of his Americana menu’s ingredients are grown nearby, right down to the Tillamook cheddar in his mac and cheese, the Oregon albacore in his dynamite tuna melt and the hazelnuts ground into milk for your coffee. All over Portland, chefs use local ingredients to make standard dishes superior, like chef Tommy Habetz’s unforgettable house made sausage-egg-and-cheese on a poppy-seed roll at Bunk Sandwiches, or the instantly addictive carbonara served at Riffle NW, where local squid stands in for spaghetti. The Willamette Valley, with its rich, alluvial soil and warm, dry summers, has been compared to another notable growing region: Burgundy, France. That’s because winemakers in the Willamette have had great success growing pinot noir, the grape considered the Holy Grail of winemaking—famously difficult to grow, and even harder to make into good wine. “You can’t mess with pinot. It remembers in the bottle. It’s like an angry teenager,” says Ellen Brittan, general manager of the Carlton Winemakers Studio, a co-op winemaking facility in the heart of Oregon’s wine country. An industrial-chic wonder of green engineering, utility, and good design, the Studio is home to 10 different winemakers who source grapes from nearby vineyards and make wine, from crush to bottle, at the shared facility. For these vintners, winemaking is a collective act; they’ve come together to share equipment, but naturally end up sharing ideas and opinions in the process. That’s also the idea behind the Southeast Wine Collective, a co-op urban winery started by Tom and Kate Monroe. Located just off hip Division Street, where Stumptown and Pok Pok were born, the Collective is home to a cadre of scrappy young winemakers who might end up changing the way wine is made in Oregon. In a state that cherishes diversity and experimentation, the wine world is surprisingly monocultural: It’s all about pinot. I couldn’t help but wonder: If a winemaker wanted to set himself apart from the pack, wouldn’t it make sense to try something different—like another grape? “You just summed up my business plan in one sentence,” says Scott Frank, who makes wines under the label Bow & Arrow with his wife, Dana Frank, at the Collective. Both the Franks and the Monroes are in their early 30s, and they share a love of the wines of France’s Loire Valley—especially Gamay, which Tom and Kate have started to bottle under their label, Division Winemaking Company. Together, they aim to literally transform the Oregon wine landscape—to convince winegrowers to rip out sure-thing pinot vines in favor of more obscure Loire varietals, like pineau d’Aunis and melon de Bourgogne. 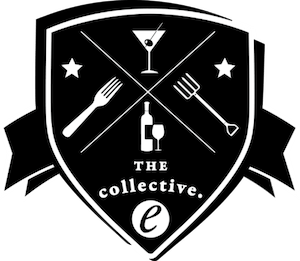 That’s a tall order, but they hope the wines they make at the Collective this fall will be good enough to give the tiny Collective a little bargaining muscle. Most New York transplants, like chef Gregory Gourdet, find the Portland lifestyle to be a welcome breath of fresh, Douglas-fir-scented mountain air. Gourdet cooked for Jean-Georges Vongerichten, but his big city lifestyle took a toll. “I was staying out too late partying, getting chewed up and rundown,” Gourdet says. Now he’s traded late nights on the town for early mornings in Portland’s Forest Park, the sprawling, thickly wooded reserve to the west of Portland’s center, where he’s trained for eight marathons. But he kept what Jean-Georges gave him: a love for contemporary Asian cuisine, which he puts to use at Departure, a swank, cosmopolitan affair on the roof of the Nines Hotel, in dishes like roasted mushrooms with wild ginger and spruce. Since arriving in Oregon, he’s been rummaging through the spectacular natural pantry of the Northwest, exploring the wide range of ingredients that define the region’s cuisine. Early in Gourdet’s tenure at Departure, his friend Ben Jacobsen (the salt guy) brought him wild greens that he had gathered near Netarts Bay while filling his buckets of seawater. “It was like, ‘Here’s a bucket of nori, let’s see what you can do with it,’” Jacobsen says. Soon after, Gourdet returned to the coast with forager Justin Wills, chef at Restaurant Beck in Depoe Bay, Oregon. They found sea peas and sea beans on the beach, and salmonberries in the dunes. It’s that close relationship chefs can have with their ingredients that defines the food culture of Oregon, and it’s what’s drawing at least one Oregonian back from Brooklyn. Since arriving in New York, chef Cody Utzman has quickly built a small empire of restaurants in Greenpoint that he freely admits are “rip-offs of my favorite places in Portland.” His first project, the casual café-restaurant Brooklyn Label was one of the first shops in New York to pour Stumptown coffee, and shares much of its menu with Bread and Ink, the 25-year-old Portland institution where Utzman cooked in his 20s. Strivers have always come to New York to prove themselves. What draws people to Oregon is something different—less the desire to stand apart than to come together. That’s what I find, later on a Friday night, when I knock on the window of KitchenCru, a culinary incubator on the edge of the Pearl, Portland’s fashionable shopping district. Like Portland’s progressive collective wineries, KitchenCru is a shared space; small food companies can rent its slick, spacious kitchen, filled with expensive equipment, by the hour, and its management helps new businesses get off the ground. Jacobsen opens the door for me—he’s halfway through his salt-making process, and ready to hand over the reins for the night to one of his three part-time employees. As the Pearl’s restaurants overflow with giddy Friday crowds, a handful of industrious entrepreneurs are busy making the food that’ll get Portland through its weekend. In one corner, bakers are proofing dough for the bagels that’ll be served tomorrow at Bowery Bagels, just across the street, and owned by KitchenCru founder (and native New Yorker) Michael Madigan. Jacobsen is developing a special salt, made of bigger, hardier crystals, so Madigan can add salt bagels to his menu. Across the room, Sara Suffriti rolls out crust for the pies she sells under her brand, Pieku—Jacobsen’s salt is the secret ingredient in her salted caramel apple pie. Around the corner, Aaron Silverman finishes a batch of fresh pork sausage that he’ll sell under his label, Tails & Trotters—soon, he hopes to be able to legally sell his Northwest prosciutto, made from pigs finished on a diet of Oregon hazelnuts. Though it’s a business incubator, KitchenCru feels almost socialistic, a lefty workaround to capitalism. Despite the hour, there’s a sense of jolly camaraderie in the air, where everyone seems to know one another, and the kitchen hums like a beehive. That buzz, that energy that Joe Pedicini felt when he first moved to Oregon, where everyone knew they had such potential—Joe’s dream of the ’90s is alive in Portland. Jacobsen Salt Co. has thrived at KitchenCru; in fact, it’s outgrown its incubator. After our trip to the coast, Jacobsen shows me what might be his new production facility, much closer to his seawater source. It’s a low-slung, mid-century warehouse, built to service the nearby World War II blimp hangar, a comically enormous building, bigger than a Manhattan block, and claimed to be the largest wooden building in the world. All around the warehouse, the plains of Tillamook stretch out, perfectly flat for miles till they reach the Coast Range. There’s so much open space out here that it’s dizzying, and the warehouse rents for pennies a square foot. When Jacobsen starts to talk about building ponds in the fields to experiment with traditional solar salt production, my mind drifts. I imagine what it would be like to live here, to be part of this community, to grow things, to pluck gamay grapes just before sunrise, the vineyard’s shoulders shrouded in mist. I look out across the fields at the distant hills in the east and my eyes glaze over. Either I’m experiencing acute real-estate envy or vertigo. Bring a pot of salted water to boil. Tear kale leaves off of the stems, and cut larger leaves in half. Boil kale in salted water for 1 minute. Strain into colander and spread out onto a sheet tray. When cool enough to handle squeeze out all of the water from the kale. Heat 8 cups of canola oil in a wide high-sided pot to 350º. In a large bowl put fish sauce dressing, cilantro, mint, and bacon. Dip the kale into the tempura and place into the oil. It is important to try and separate the leaves as it goes in the oil to avoid clumping. Fry for 30 seconds. Using a spider, take kale out of oil and place into the large bowl. Toss the kale so all the ingredients coat it. Place into individual bowls.